Q & A with Lynne Aspnes on the new American Harp Society, Inc. 2019 Camp Innovation — American Harp Society, Inc.
Lynne Aspnes is Professor Emerita of Harp from the University of Michigan School of Music, Theatre & Dance, Ann Arbor, Michigan, and currently serves as President of the American Harp Society, Inc. The American Harp Society introduces 2019 Camp Innovation to be held June 16-22, 2019 in conjunction with the 2019 Summer Institute and National Competition at the University of North Carolina School of the Arts in Winston-Salem, NC. 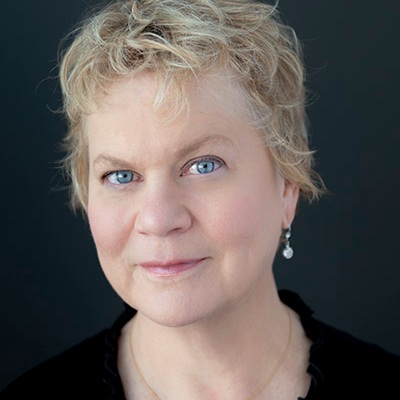 We sit down with Lynne Apsnes, President of the American Harp Society and discuss the vision for Camp Innovation and how the 2019 Summer Institute empowers students of all ages, teachers, and performing artists alike. What makes Camp Innovation unique from other summer harp programs? Aspnes: First let me say thank you to Institute co-chairs, Jacquelyn Bartlett and Grace Ludtke, and the University of North Carolina School of the Arts for making it possible for the AHS to offer a residential camp alongside the Summer Institute and the finals of the National Competition. We are very excited to expand our programming to reach out to a generation of young and enthusiastic harpists and we couldn't have done that without all of you! We feel that what's unique about this camp is that it combines a supervised residential camp experience -- with master classes, practice time, ensemble, performances, dormitory living, and fun social activities -- with access to a whole host of fantastic harpist advocates, composers, performers, and teachers. We have discrete programming planned for our young campers led by world class artists and teachers Elisabeth Remy Johnson and Maria Luisa Rayan as well as access to all of the AHS National Competition final division performances, all of the Summer Institute programming, and camper participation in the final concert of the Summer Institute. It’s going to be a dazzling week of opportunity for everyone involved. What do you hope students will gain from participating in Camp Innovation? Aspnes: All of us in the AHS hope these young harpists meet lots of new people and make many new friends. We hope the experiences at the camp will help students build their harp communities and inspire their learning both during the week and for many weeks to come when they go home. We hope everyone who attends the 2019 Camp Innovation will leave feeling they have gained confidence in their skills and creativity, and that they feel empowered to do good for the harp through sharing what they have learned with their harp friends, teachers, local AHS chapters, and the broader community of music lovers out there! The camp is for students ages 12 to 17. Are there opportunities for students of other ages to be involved with the AHS Summer Institute? Aspnes: There are, and we hope a whole lot of students of all ages will attend the 2019 Institute! This Institute will be an affordable option for many people and the jam packed schedule makes the investment a worthy one. The programming is geared towards learning: for students of all ages, for teachers, and for performing artists alike. There are participatory programs planned, including the master classes and the Young Composers Project; inspiring performances by emerging and established artists, varied and comprehensive lectures and workshop topics, and multiple opportunities to learn about and experience health and wellness training! We will all be leaving with new knowledge and understanding about the harp and how we can advance in our own abilities. American Harp Society, Inc. Executive Committee at the 2016 AHS National Conference in Atlanta, Georgia, USA. All events will be held at the University of North Carolina School of the Arts in Winston-Salem, NC. Campus housing is available from June 16th through the 22nd. There will be public evenings concerts for the entire week, Monday through Friday. Newer PostElisabeth Remy Johnson, Principal Harpist of the Atlanta Symphony offers insight into orchestra life! Older PostMeet Nikolaz Cadoret! Bringing the harp to unexplored fields on the international stage!